Robert Hahn was as a full-time clinical anaethetist be-tween 1979 and 1993 and then turned to academics. He served as professor of anaesthesia & intensive care at Karolinska institutet in Stockholm between 1997 and 2006 and thereafter became Research Director at Södertälje Hospital with part-time professorship at Linköping University. 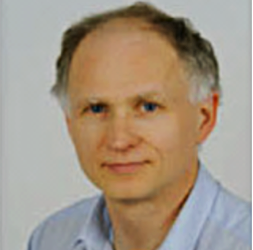 Professor Hahn´s favourite topics have been physiology and monitoring of fluid overload in transurethral surgery and kinetic modelling of infusion fluids. With a methodological interest, his current research also includes the development and evaluation of clinically useful methods of monitoring fluid therapy and the detection of preoperative dehydration. Robert Hahn has supervised 20 PhD programs and authored more than 300 scientific papers. He has edited two books about fluid therapy, the most recent being "Clinical Fluid Therapy in the Perioperative Setting" (Cambridge University Press, 2011) with contributions from 20 prominent international experts.